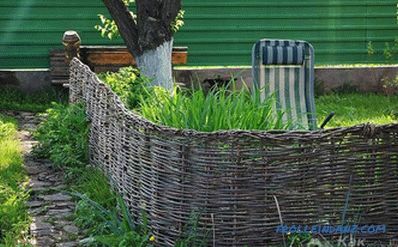 If you are tired of the usual netting-chain-link that serves as a fence for your land plot, attach some imagination, zeal, and ... make an original wicker fence. 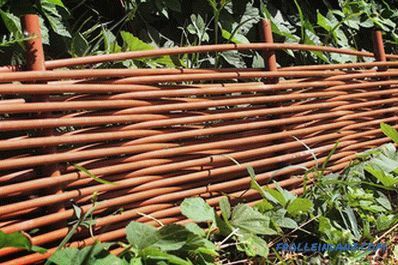 To master the basic principles of its creation, it takes not so much time, because the main "problem" that usually confuses those who are thinking how to make a wicker fence is finding the material for its manufacture. 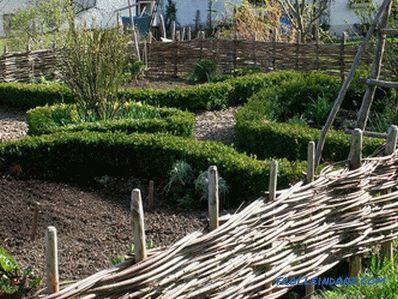 A wicker fence should be created from flexible branches (for example, from hazel or willow). 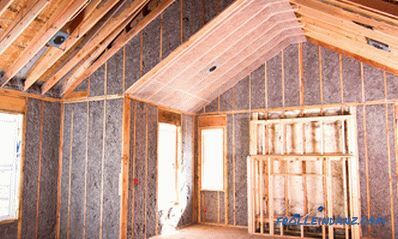 They should be cut in late autumn, when the leaves of the trees have already been dropped, but the movement of sap in them has not yet ceased. "On the hunt" should go with a pre-prepared "yardstick" (in its role a branch having the desired length can play its role), and cut only those branches that fit you in size. 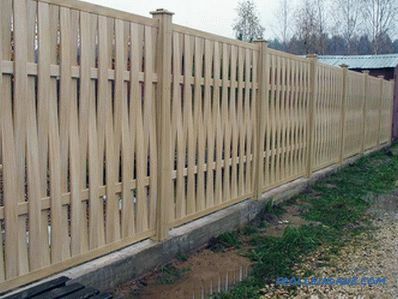 In addition to flexible branches for a wicker fence, you will also need branches that are thicker, but also necessarily straight, that will serve as supports in the fence. 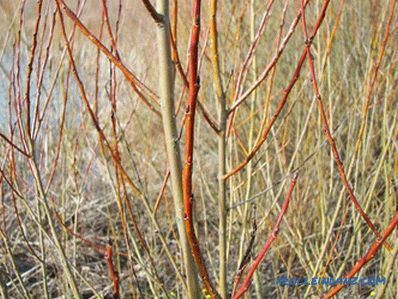 The thickness of the branches-supports should not be less than 4 centimeters, and the length - equal to the height of the fence plus 50-55 centimeters (it is at this depth you will hammer them into the ground). 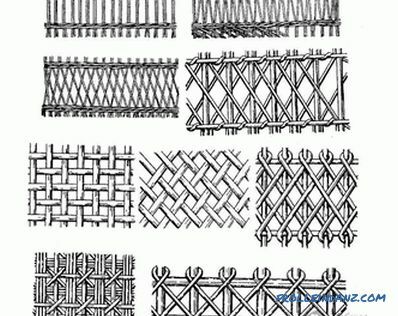 Vertical weaving - for such a fence, the supports should be fixed both vertically (columns) and horizontally (the basis for weaving the fence). 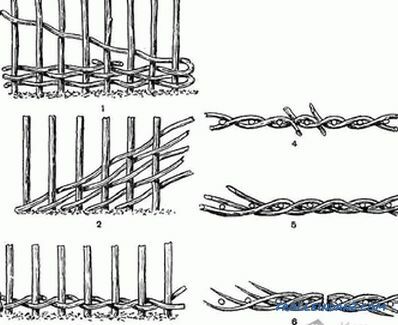 With this type of weaving, the length of the bent branches should be only 15-20 centimeters more than the final height of the fence. 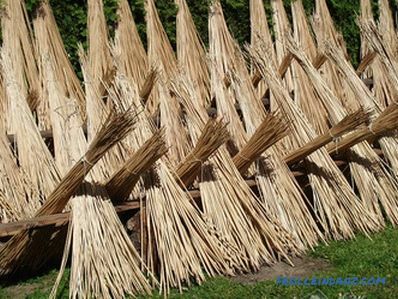 Horizontal weaving is a more familiar weaving method in which long flexible branches (at least 2 meters long) are horizontally placed between the vertical supports. 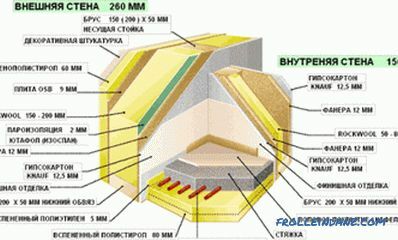 In this case, the pitch of the supports should not be less than 30 centimeters (otherwise it will be difficult for you to bend the branches). 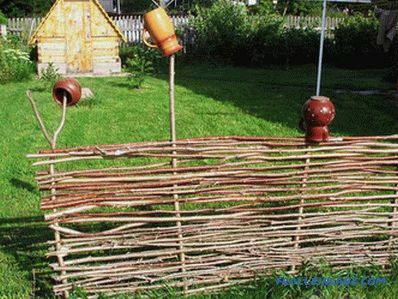 Fence stakes Creating a wicker fence, regardless of the type used weaving, you should start with the installation of supports. The branches serving this purpose are not buried in the ground, but driven to a depth of at least 50 centimeters (otherwise the fence may tip over under gusts of wind). When hammering branches, do not forget to check their verticality, otherwise the fence will turn out to be crooked and ugly. The next stage is the fence itself. Since the branches are not connected with supports, then if you do not get a beautiful result on the first attempt, you can disassemble it and try again. Fences in which the branches are arranged in staggered order not one at a time, but two or three, look originally. Breaking the entire fence into "sections", that is, you will make a clear boundary separating all branches (from the bottom to the top of the fence) left and right. Such a boundary should fall on the gap between the branches-supports of the fence. Complementing each ended branch with another, without focusing attention on this moment. 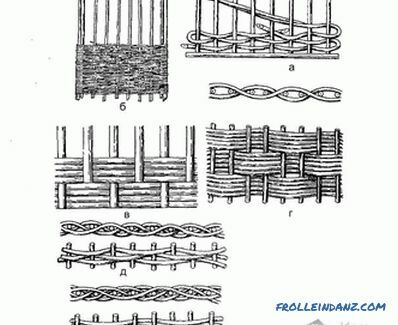 With this method of weaving, it is better to fasten the branches at the junction with thin wire to create the illusion of an "endless" line. 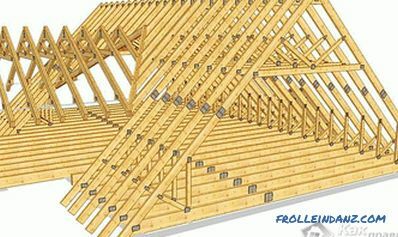 All joints should not be located in the same place, but should be evenly distributed along the entire length of the fence. 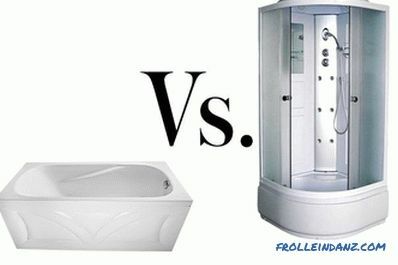 its height depends only on the desire of its creator. 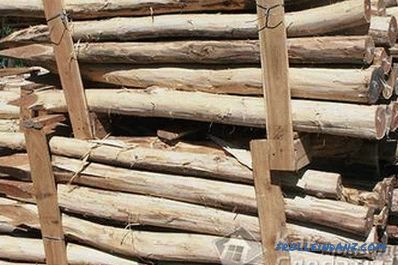 is only suitable for land plots decorated in a rustic style. 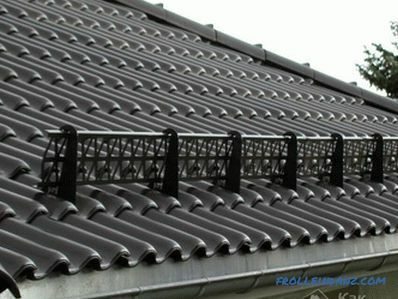 Alternatively, you can install instead of a woven branch fence on its site its plastic imitation. 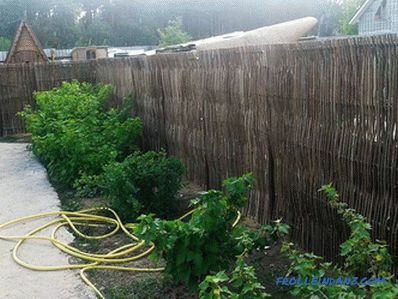 thirdly, it has an even upper and side framing, which gives it a more presentable look than a simple wicker fence.